Apart from Revolutions, Fests and the greatest of human mistakes – the Pumpkin Latte, October is also famous for having the clearest skies in the Himalayas. Having been intoxicated by the last, twice in a row (Uttarakhand and Sikkim), we were queuing up to get bowled over again and to hand the mountains its first hat-trick against us. While experience helped us survive Delhi’s attempts to scare us with its mosquitoes and Shatabdi’s attempt to distract us with its never ending array of tasteless affairs, we were swept aside by Haryana’s latest hurricane - a driver who thought he was Schumacher insisting on taking on the Himalayan curves at breakneck speeds. We had to resort to live demonstration of the messy side effects of speed to finally convince the maniac to slow down and made it to Shimla in one piece, and more importantly in time to catch the last tour of the day of the Viceregal Lodge. 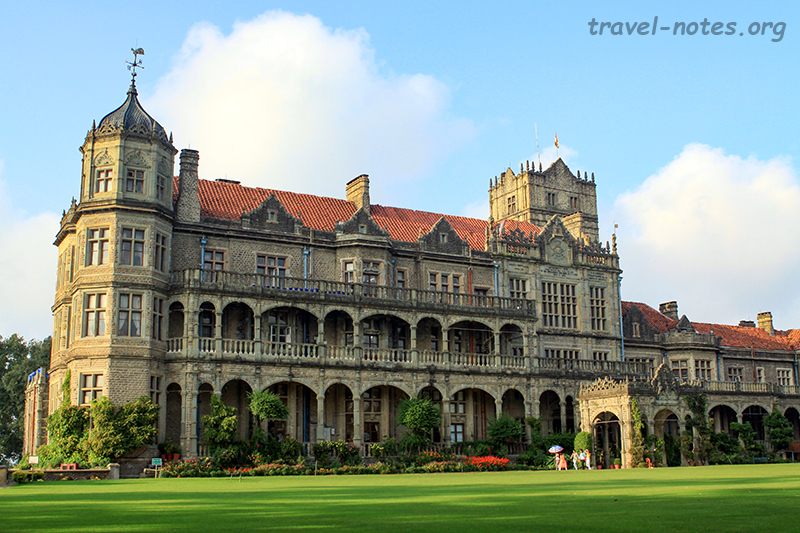 By about mid-nineteenth century, the Brits finally figured out that there is more to India than the dust bowls of Kolkata’s “moidans” and they built themselves this sumptuous lodge and managed to move the entire Indian bureaucracy every year in the pretext of it being the summer capital. Apart from being the residence of the Viceroy of India, the lodge was also the ground zero where India was partitioned. On the tour, we got to see the plush interiors made from the finest Burma Teak and Kashmiri Walnut and also walk past the table were Nehru and Jinnah sat across arguing who gets to keep Lahore and who Amritsar. Shimla was the starting point for the long road trip, and thankfully, the driver who turned up the following morning was a somber 40 year old who knew his clutch from his brake. The forenoon drive past rolling hills, where the Padam Palace was the only mildly interesting stopover, lulled us into a slumber. 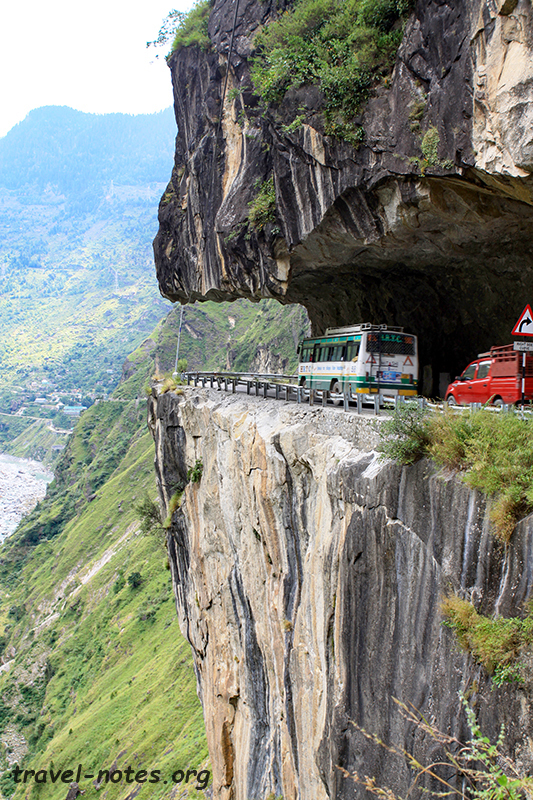 Things changed dramatically once we entered Kinnaur when road started cutting through solid walls of granite with a sheer drop of hundreds of feet staring at anyone peeping out of the passenger window. After burning through half the allocated memory card for the entire trip, we made it to a camp in Sangla where we spent the night in a luxury camp huddled inside cozy comforters. An hour further up the valley is Chitkul, the last Indian village in that direction and remote enough to house traditional Kinnauri style buildings. Since it was just a “village”, we could see all of it with enough time to spare to reach the final destination of the day, Kalpa, by early afternoon. Sitting atop a plateau overlooked by the majestic Kinner-Kailash range and surrounded by apple orchards, Kalpa is probably the most picturesque of all Indian villages. Thankfully, it was a clear day and we could stare at the massif to keep our eyes away from the luscious apples in the orchard. A Rs. 10,000 fine awaits anyone who cannot resist the primate instincts to pluck the harvest ready fruits. An hour into the drive, the following morning, the scenery changed from temperate forest to tundra, culture from Himachali-Hindu to Tibetan-Buddhist, altitude from cool to head-spinning as we left Kinnaur for Spiti. After many heart stopping moments where we passed large army trucks on roads barely wide enough to allow two cyclists to ride abreast, we made it to Nako, the first important Buddhist village. 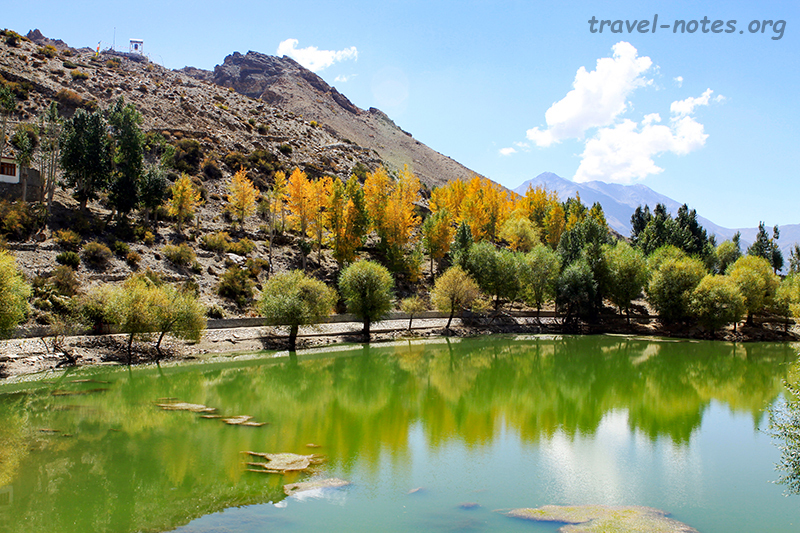 The pretty Nako Lake looks prettier this time of the year, thanks to the autumn hues and the nearby timeless monastery is beautiful throughout the year, thanks to the millennia old murals that adorn its interior. An afternoon filled with more hairpins than an average Bollywood actress’ hairdo brought us to Tabo where we spent the night resting our spinning heads. The millennia old Tabo Monastery, which resembles the Anasazi dwellings in South-West United States more than the whitewashed “House-of-Cards” monasteries of the region, hides the best Indo-Tibetan murals on the planet. One look at the stunning murals is enough to conclude that Tabo’s sobriquet of being “Ajanta of the Himalayas” is a tad unfair. It is Ajanta that should be called the “Tabo of the Deccan”. We continued the monastery hopping for the day by heading to Dhankar, a monastery clinging to a cliff so precariously that it is listed among the 100 most endangered monuments in the world. After donating as much as we could towards gluing the monastery back onto the cliff, we hopped to the next one, Lhalung, whose murals date from the same era as Tabo and no less spectacular. 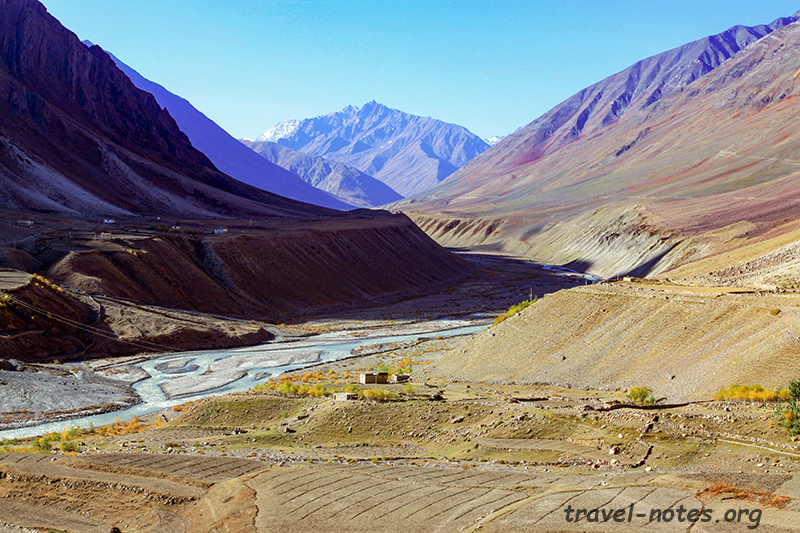 Post lunch, history, art and religion took a back seat while we headed to the jewel in Spiti’s crown – the Pin Valley, a drop dead gorgeous part of Spiti that was cut-off from rest of the world till as recently as 2003. Well, for the sake of truthiness, I should add that the “cut-off” bit was only for us, the pot-bellied, and not for the ones who walk. Today, we, the pot-bellied, can go till the village of Mud to enjoy the best sunset in all of Himachal while the walkie-talkies can continue on up the Pin-Parvati Pass and down to Manikaran. Pin Valley is also one of the best places in Himachal to spot the rare Himalayan Ibex and the elusive Snow Leopard – cases in point being the hotel owner in Mud had seen more Snow Leopards than Jeeps by the time he was a teenager and a casual tourist like us ended up spotting half a dozen Ibices. After enjoying the spectacular Mud, we tried to complete our monastery circuit checking out the last one on the list, one that is the largest in size smallest in name – Ki. 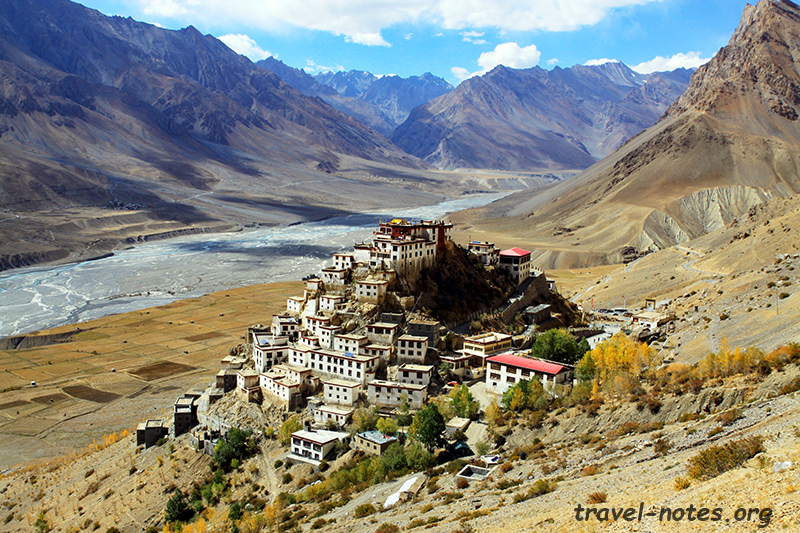 Placed higgledy-piggledy on a conical hill high above the Spiti valley, this is probably the most photogenic monastery on the planet. We first went past the monastery to climb the closest hill (a kilometer higher than Ki) to get a helicopter eye view of the monastery. After enjoying, or its closest equivalent possible from the vertigo inducing height, we drove back to Ki, took a tour and climbed the hill opposite to add the more traditional postcard view to our travel collection. The next morning we drove for six hours through spectacularly desolate landscape, around one horse milky white Tibetan villages, over deep gorges, past wind-swept scree slopes, up and down a 4500+ m high pass on surface that resembled river beds more often than roads to a spectacular high altitude lake, Chandra Taal. At Chandra Taal, we also ran into a quartet of adventurous ladies from Bangalore who goaded us to take a walk around the lake and thanks to that, we got to see the lake change its colour from aquamarine blue to turquoise green with the changing angle of the sun. The following morning, our toes, nose and ears decided to launch a surprise mutiny and walk away from us and before things could get out of hand, we made a beeline to balmier climes of Manali. Since none of us were bees, we had to roll on the road and not fly over it and given this region lies in between two high passes (Kunzum and Rohtang), we had to contest with the worst possible roads of the entire trip. Before the roads got to the tyres, we got to the top of Rohtang and down onto Manali. We somehow also managed to have enough time to check out the city sights which included the quaint Hadimba Temple inside a lovely Deodar forest, the hard to reach Manu Temple and the pedestrian only Mall Road. The next day saw us making our way down to Kullu as slowly as possible. Naggar, enroute, helped in the slowing bit. It was in Naggar that the region was ruled from for over 1500 years and it, expectedly, houses a castle and assortment of ancient temples. It was also in Naggar where the Russian painter Nokolai Roerich spent the last 20 years of his life. More than his paintings, it was his political contacts that made him famous. Nehru and Indira were his occasional visitors and it is likely that he played no mean role in shaping independent India’s Russia policy. After a quick lunch in Kullu, we headed to its prime attraction – Biji Mahadev Temple, where a stone is said to be repeatedly shattered by lightening. Unfortunately, the locals interpreted the event as some divine flexing-of-arms instead of a natural process and thereby losing an opportunity to invent a lightening conductor before the American. Since lightening only strikes the local maxima, we had to huff and puff up a steep incline for an hour and a half to get to the temple, thereby bruising whatever little left of our toes battered by the cold of Chandrataal. And, that’s how we spent a fortnight in one of the smaller states in India and managed to see only about a third of it. Our dream of seeing all of our homeland before we lose our eyesight or memory or both is going to remain such for foreseeable future. Click here for more photos from Shimla, Manali and Kullu. 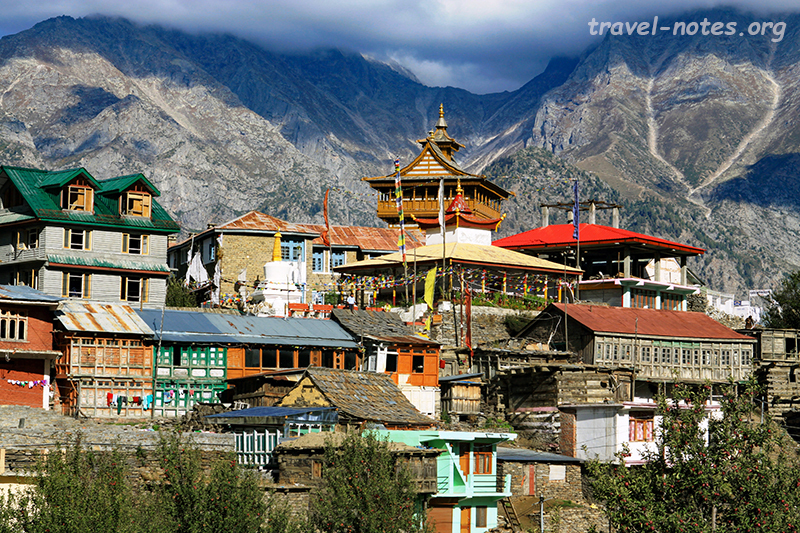 Click here for more photos from Kinnaur. Click here for more photos from Nako, Tabo, Dhankar and Lhalung. Click here for more photos from Kaza, Ki and Pin Valley. 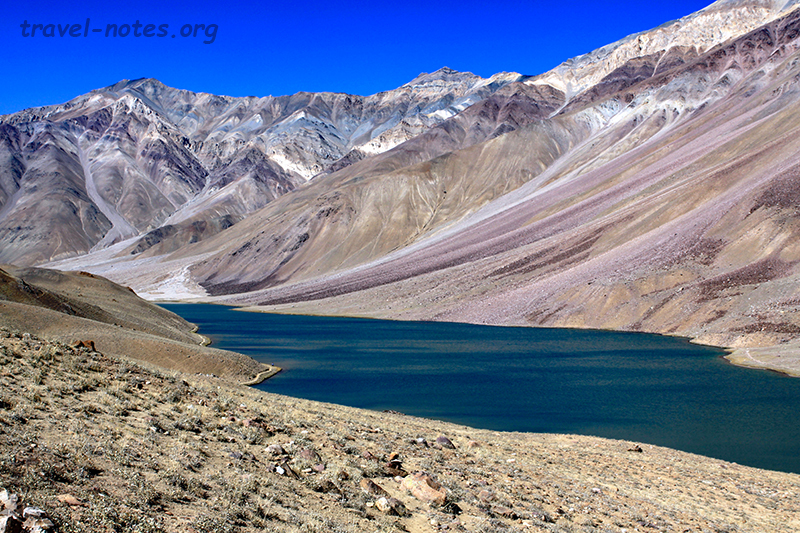 Click here for more photos from Chandra Taal, Kunzum and Rohtang Passes.